Great news, can't wait, now we just have to wait to see if it comes out in NA before the end of the year so I can import it (assuming it won't come to Europe until 2017). Take a deep breath. Ok. Ready? Persona 5 has a release date in the Americas. The Phantom Thieves are coming to take your heart on Feb. 14, 2017. Exhale. 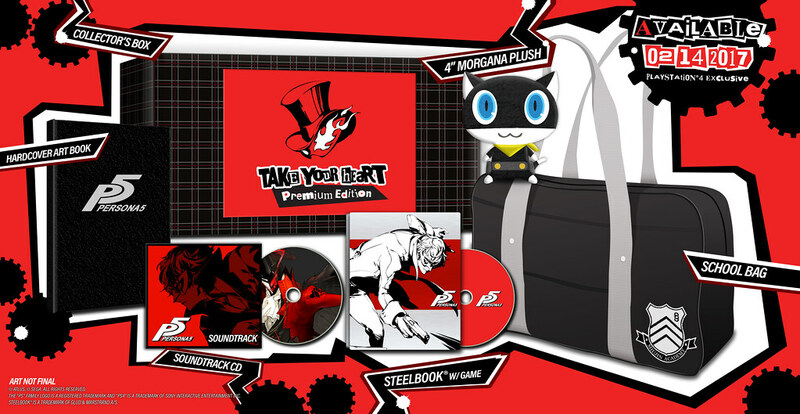 The Persona 5 “Take Your Heart” Premium Edition will be available for $89.99! For those just interested in the PlayStation 4 version of the game, we’re releasing Persona 5 in a special SteelBook® Launch Edition! 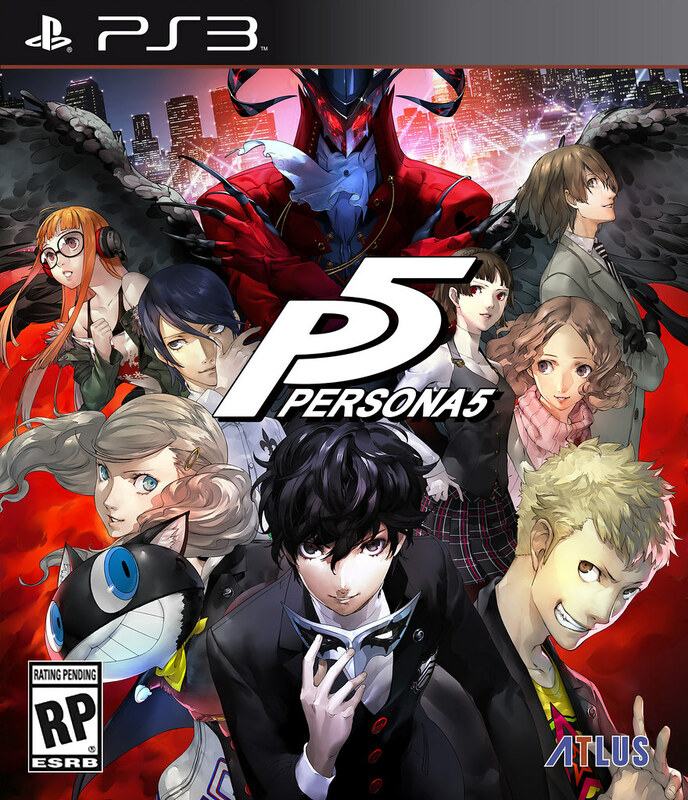 All pre-orders and a very limited number of launch copies will come in an official, collectible SteelBook case, adorned with glorious Persona 5 art (identical to the one in the “Take Your Heart” Premium Edition). It’ll be $59.99 at launch! Just a reminder, this will be exclusive to the PS4 version. And for all the rumor-mongers out there, I’m just going to go ahead and confirm this here and now. (What better place than PlayStation.Blog?) Persona 5 is 100 percent still coming out on PlayStation 3. And at launch, it’ll be $49.99 and come in a regular game case. Now, even after all that, if you still are thinking: “Why 2017!? You promised us 2015, and then 2016! Now it’s 2017?!!!? !” Well, the biggest factor in the 2017 release date is attention to detail. When we show off Persona 5 at E3 next week (Next week! ), I think you’ll understand what we mean. We’re making sure every bit is in place. Persona has exponentially grown as a franchise, and considering that this is our first numbered sequel since 2008, ATLUS is taking its time to ensure this is the best possible experience. I know the wait is agonizing, but I hope you’ll look forward to all the amazing news when Persona 5 infiltrates E3 next week! It's certainly Persona but so damn cool and flashy. And interesting thing though is it seems to have the conversation system from mainline SMT games to gain new monsters. Persona 5 won’t launch until April 4, Atlus announced Wednesday. The publisher revealed the delay during a livestream, which also saw the debut of the first English-language gameplay of the upcoming role-playing game. Originally set for a Feb. 14, 2017 release, Persona 5 won’t make it onto PlayStation 3 or PlayStation 4 stateside for another several weeks. That’s in spite of the fact that Japanese fans have had their hands on the game since mid-September. To compensate for the later release date, Atlus will receive Japanese audio alongside the international release. It will be available as free downloadable content, according to a post on the PlayStation Blog. The English-language version was originally going to launch without Japanese vocal options, so this alteration should appease some otherwise disappointed fans. Atlus is also giving away a free Persona 5PS4 theme for the next 24 hours as a bonus. 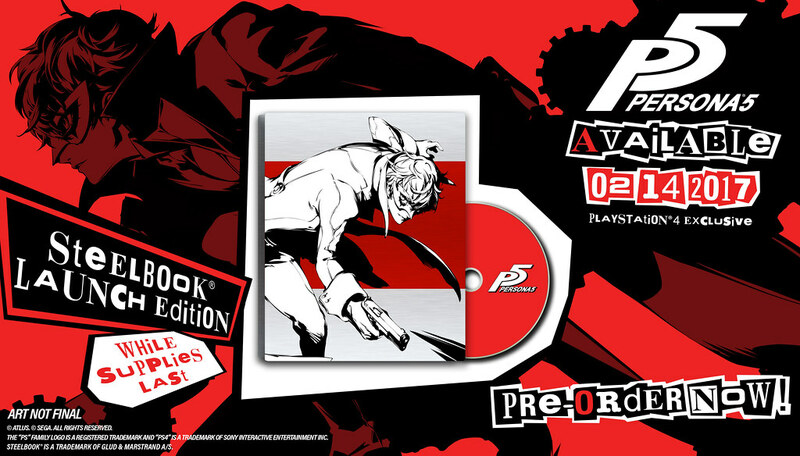 Atlus also debuted the final art for the game’s premium edition. Take a look below to see what it includes; the “Take Your Heart” set is up for pre-order and costs $89.99. Persona 5 has been in the works for several years now, and fans have hotly anticipated the title since the release of Persona 4. That game debuted on PlayStation 2 back in 2008, and it’s received several spinoffs (and a high-quality re-release) across various platforms. Atlus has announced two new Shin Megami Tensei titles to celebrate the series’ 25th anniversary. The second title is a new high-definition project that runs on Unreal Engine 4. It, too, is still to be titled, with development having only just begun. It was confirmed for Switch at Nintendo Switch Presentation 2017. The 25th anniversary website, video, and the video description do not specify any platforms, however. Watch the HD project teaser trailer below. Persona 5 review scores perfectly for the PS4 exclusive RPG which is due for release this April. What a time to be a PlayStation gamer! The first review of Atlus’ hotly anticipated Persona 5 has arrived in the pages of OPM UK, with the publication awarding the JRPG a perfect score of 10/10. Fans of the long-running franchise will be pleased to learn that this latest installment is an absolute belter, with Persona 5 described by OPM as “the most accomplished, accessible, precocious modern JRPG out there.” In fact, the magazine says it’s not only better than its predecessor, but also tops Square Enix’s Final Fantasy 15. Nonsensical story that you actively have to watch other media to even understand and boss fights where you have virtually no control of the events occurring... the more I think about it the more I realise just how bad that game was. I already know my game of the year... it won't be either of those you mentioned.